Our floor sanding reviews confirm how dedicated we are to providing you with quality workmanship. Our highly skilled and experienced tradesmen are professional, reliable and fast. We’re also passionate about the excellence of our service and the finished results. Our hard, honest work has delighted our customers and we want to share their comments with you! My kitchen floor was discoloured and ageing and I was concerned that the repairs would be very expensive. Your floor sanding service was reasonably priced and completed with minimum disruption. I’m delighted with the results. Your workers were professional and friendly and a pleasure to deal with. They all worked very hard and left me without any clearing up to do. My floor now looks warm and inviting. Thank you. The floor in question had unsightly marks and was gapped and uneven. As a result of your workmanship the floor is now looking like new. The restoration work was excellent. Have the floor sanding reviews above convinced you to hire us? Call 020 3404 6914 now to do just that! We’ll happily discuss feedback we’ve received over the phone or you can read our reviews online. 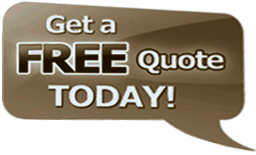 We’ll give you no obligation quotes, arrange consultations and make your bookings for you. Use our online form to enter your details and we’ll get back to you as soon as possible, or talk to an adviser online via our chat facility. We’re here for you 24/7.